Fishing season is -finally- open in Istanbul as of today, September 1st. As a city surrounded by two seas (Black Sea on the north and Marmara Sea on the south) and one strait (Bosphorus) connecting these two seas, Istanbul is rich in terms of fish and seafood. In addition, starting from Ancient Greek period to today Istanbul has a rich and serious history of fishing and fish consumption. For instance, Byzantion -Ancient Greek colony founded in the seventh century BC on the lands that later became Constantinople, and then Istanbul- was a fishermen village and main income of Byzantion was fish and other sea food. 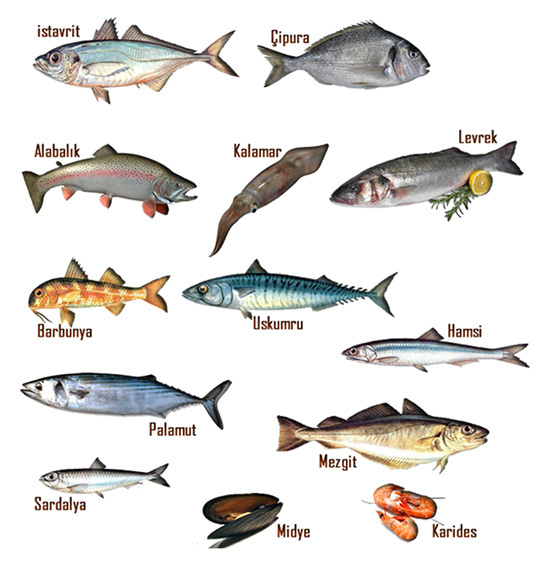 And, still fish is one of the main ingredients of today’s Istanbulites. 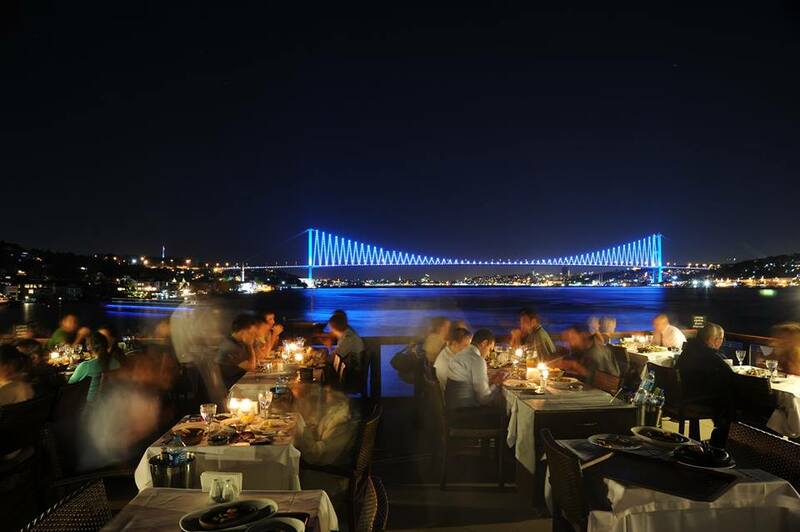 It is consumed both as a street food (fish and bread) and long seated suppers at fish restaurants on the shore of the Bosphorus such as Bebek, Arnavutköy, Yeniköy, Rumelikavağı, Çengelköy, and Karaköy. These fish restaurants are usually home to family dinners, birthday celebrations, and friend gatherings. I personally like going to Balıkçı Sabahattin, Deniz Yıldızı, Uskumru, Arnavutköy Balıkçısı, and Karaköy Lokantası as fish restaurants on the shore of the Bosphorus. 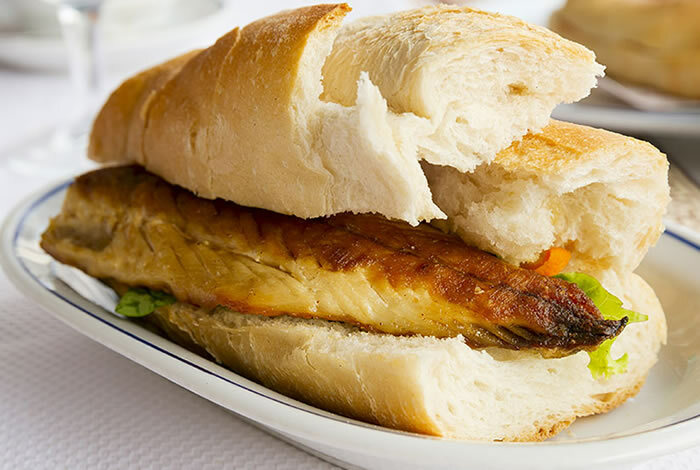 On the other hand, fish and bread -basically white bread, uskumru (Mackerel), lettuce, and onion- is one of the most popular street foods of Istanbul. 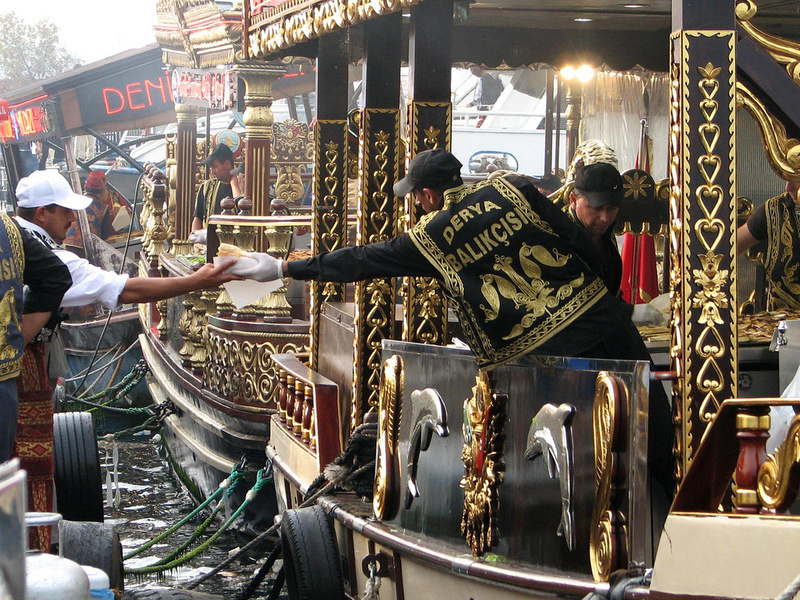 Eminönü, Karaköy, Beyoğlu, and Sarıyer are the neighborhoods that have fish and bread vendors. Especially, Balıkçı Emin Usta in Karaköy and Balıkçı Reşat in Beyoğlu are recommended fish and bread places that serve delicious, cheap, and clean balık ekmek (fish and bread). Make sure to have one if you pass by one of these neighborhoods. However, due to high population, climatic change, pollution, and over-fishing, fish varieties and fish numbers have been decreasing in Istanbul in the last fifty years. In order to control this problem, fishing with fishing vessels and larger fishing boats are not allowed between April 1st and September 1st so that fish stocks can re-produce between these months. As fish consumers, we can also help to this problem by consuming only adult fish and at their best seasons both for better taste and sustainability. There are also campaigns such as “Lüfer Koruma Timi” (Bluefish Protection Team) and “Seninki Kaç Santim?” (How Big is Yours?) that have been tackling against catching and selling of undersized/baby fish. You can also provide more sustainable sea by consuming the fish at their seasons. 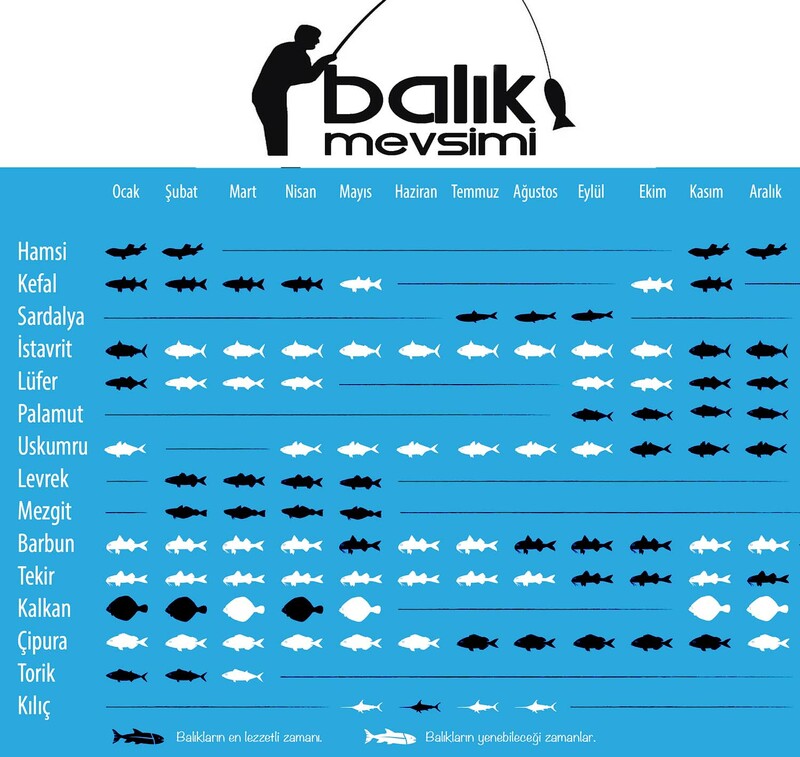 Below you can find our informative chart regarding Istanbul fish and their best seasons. Hope you consider this list while consuming Istanbul fish.